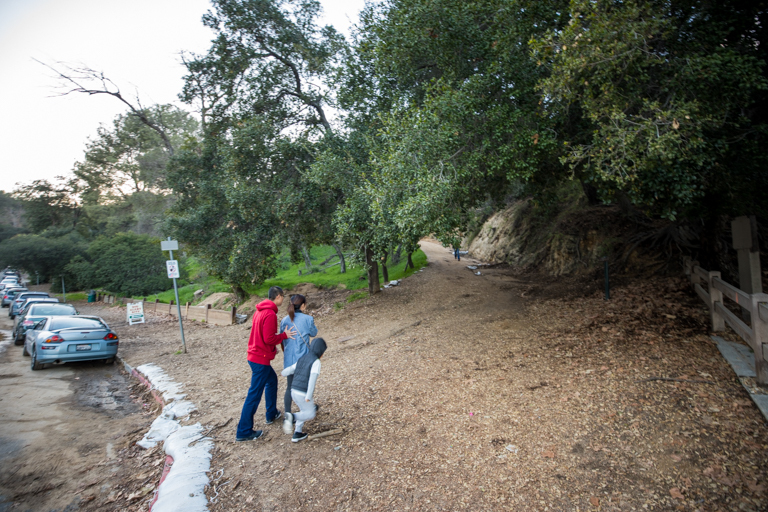 After the Chocolate Festival this morning, Theresa and I left the kids with her parents and headed up to Griffith Park. 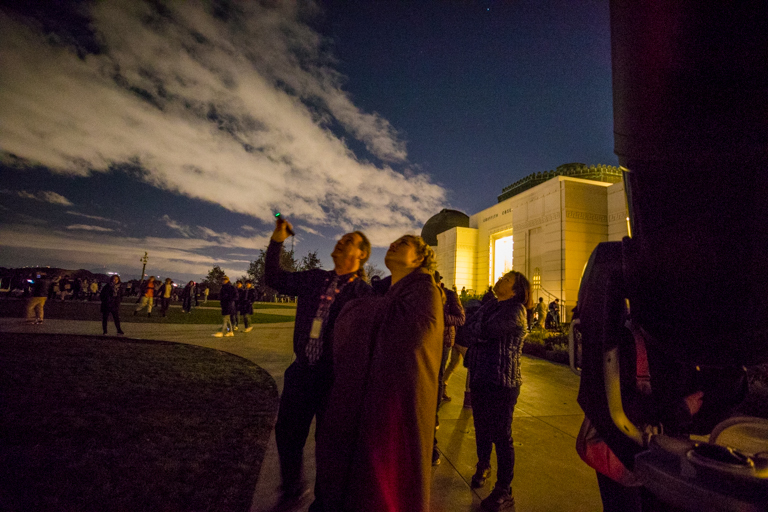 Tonight there's a star party on the front lawn! We braved LA traffic and 1:15 later we were at the base of the hill. Parking was a little harder to come by today. The upper lot was full, so I pulled a U turn and parked before the Greek Theater. 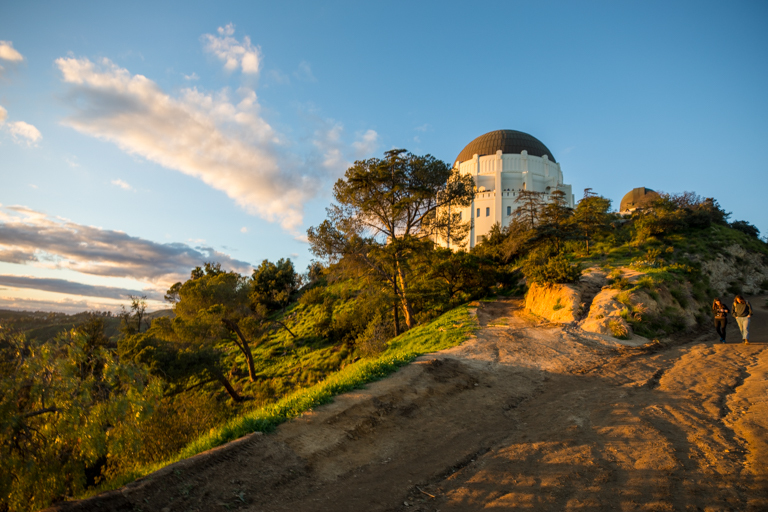 But that also means we get to walk a new path up to the observatory. With the recent rains, the skies are nice and clear. It's 5:20pm and there's already plenty of telescopes out on the lawn. 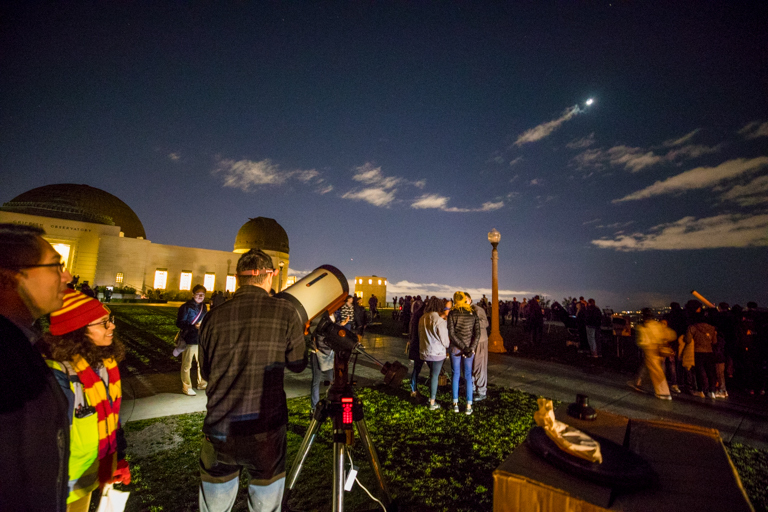 Every month, the Los Angeles Astronomical Society holds Public Star Parties here at the Griffith Observatory. 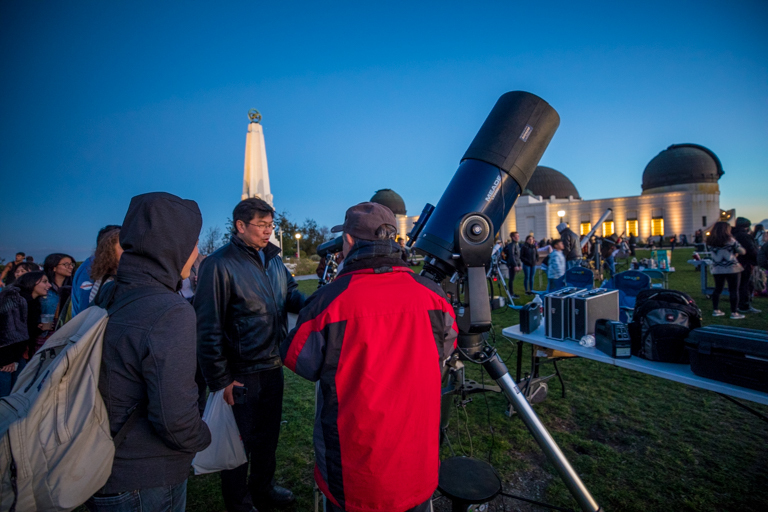 It's a great chance to talk with other enthusiasts about their telescopes. Theresa and I are looking at getting our own telescope since Ian is such a fan of space and astronomy. Theresa and I were both really impressed by how friendly the members of LAAS were. Theresa had so many questions and everyone was happy to talk with us as long as we needed. 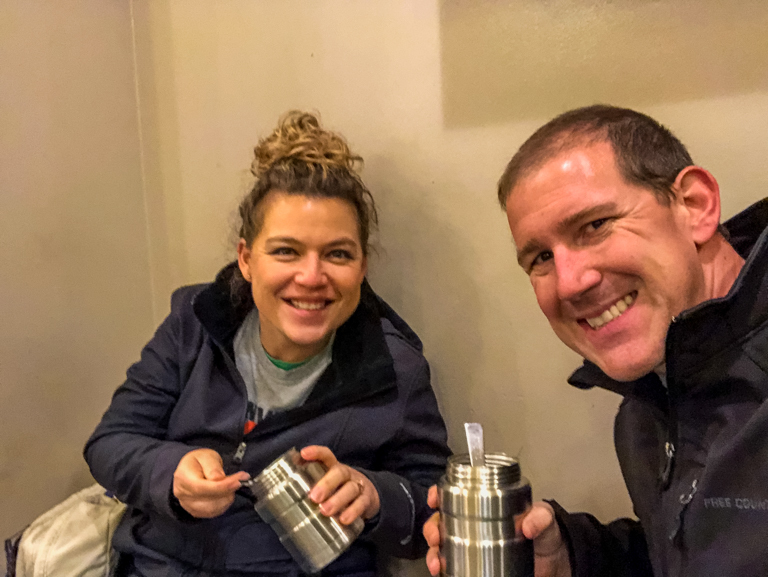 Giving us tips on gear, suggestions on accessories, and even walking us though their gear. Rafael Gonzalez #urbancityastronomer spent 15 minutes with us as Theresa kept coming up with question after question. Super nice guy. There were over a dozen different telescopes set up on the lawns, and there were almost as many different types. That answered one of my questions: is there a brand that is best? Nope, get what you like. 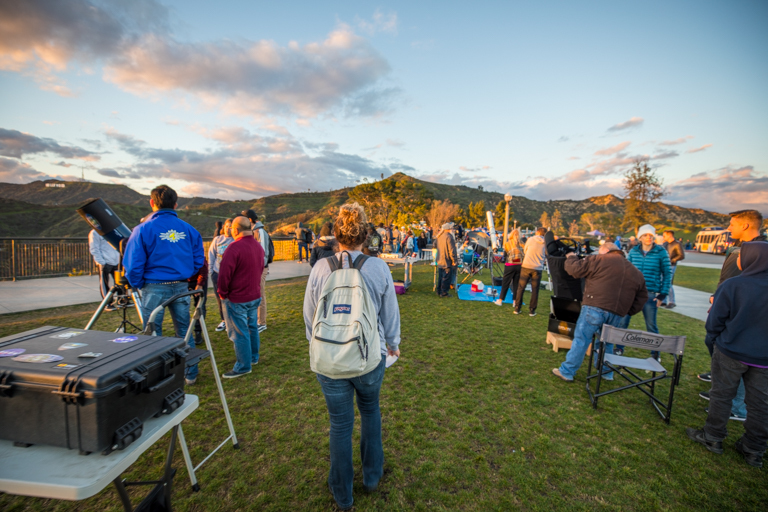 As we waited for the sun to go down, most of the telescopes are pointed at the crescent moon. For dinner, T made some delicious lentils and smoked sausage that we kept warm in a thermos. We also headed inside to warm ourselves up. 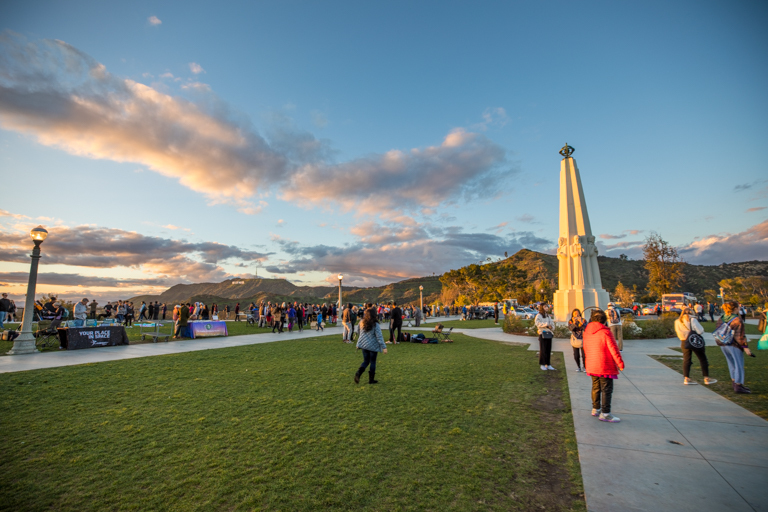 It was LA cold, with temps in the 40s with wind cooling it down even further out on the top of the hill. 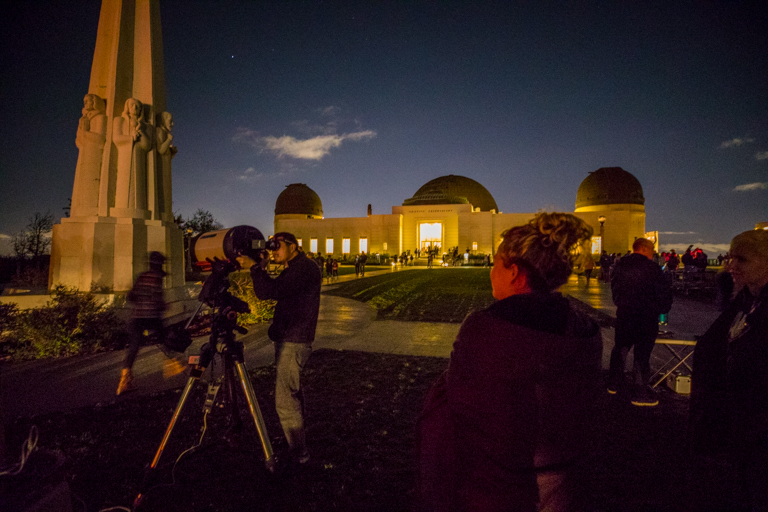 Once we headed back outside, the Griffith Park telescopes were out. Focusing on interesting things like the Orion nebula or other distant star clusters. Theresa was super excited when she saw this next telescope being set up. It's a Celestron EdgeHD which is supposed to have really clear optics across the entire image (not just the center like some telescopes). Speaking to the owner, how long have you had it? Answer - About 8 hours. Just bought it this morning. Wow, and bringing it out here to show off. We probably ended up spending another 20 minutes talking to #spaceman_tran and he showed us so much good stuff. Even pulling out his laptop, connecting it to the telescope and showing us how he can tell the scope to point just about anywhere in the sky and get a preview of what it's going to look like ahead of time. He was a great resource considering that he lives near downtown LA and has to deal with the city light pollution all the time, just like we're going to have to do. 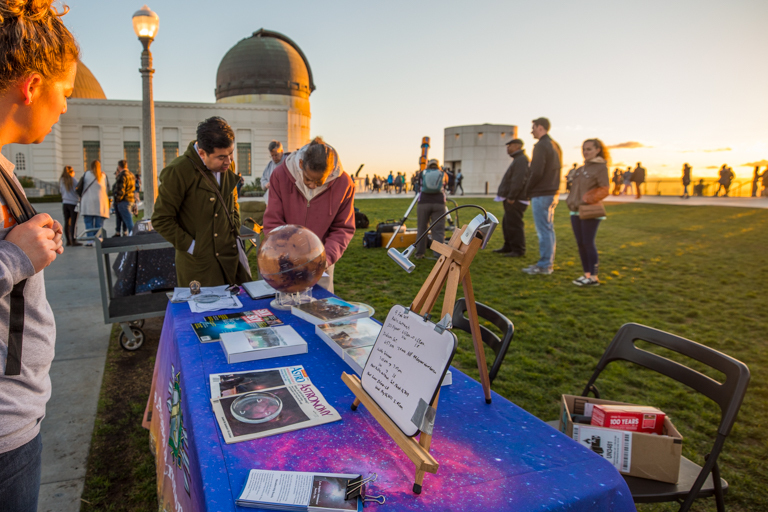 Theresa and I both had a lot of fun coming up to the public star party. The first of many I think.